February 14, 2018 2:49 pm. 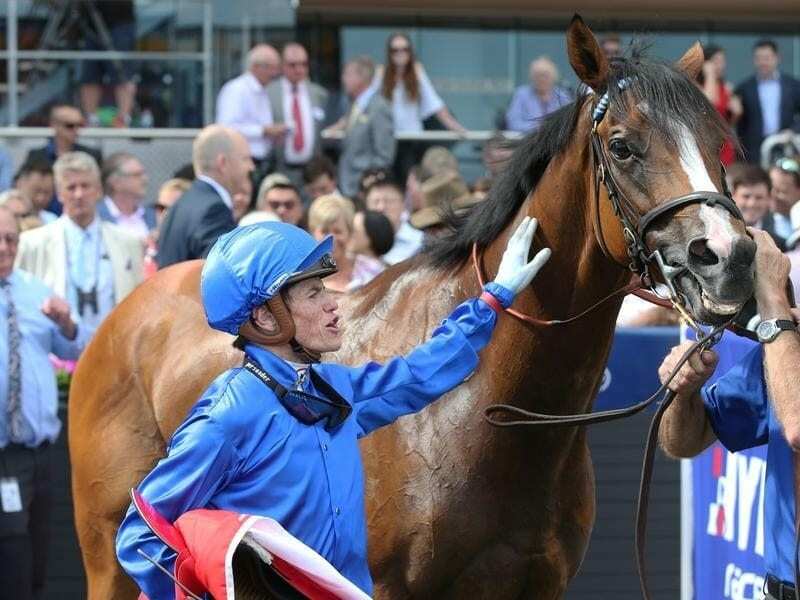 Hartnell has returned to Godolphin’s Sydney stable after a first-up win in the CF Orr Stakes. Hartnell has returned to Godolphin’s private training facility in NSW after his Group One win in Melbourne but trainer James Cummings says a decision on his next target is yet to be locked in. The seven-year-old gelding made a winning return in Saturday’s C F Orr Stakes (1400m) at Caulfield in a blanket finish. “We brought Hartnell back to Osborne Park because he’s a horse who loves to be turned out after his training, and we get the opportunity to do that up here,” Cummings said. “That gives me every chance to get him big and round and bouncing around before his next start. “We’ve got plenty of options on the table and we haven’t locked in anything yet because we need to see how he recovers from that big, first-up performance. After the Orr, Cummings indicated the Chipping Norton Stakes could be Hartnell’s next start, setting up another clash with champion Winx.